A few days ago I received an email from Mr. Naseem all the way from Afghanistan…let us hear his story. 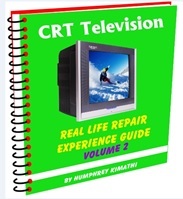 Dear Mr.Kimathi, I saw your website, there are so many useful information about TV repair in it and I learned so many things from it. So I thank you very much for it. 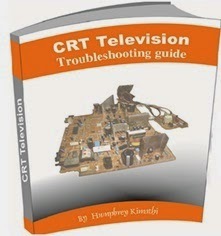 I would like to have your eBook for CRT TV repair. But the problem is that we are in Afghanistan and I don't have credit card. So show me the way how I can have it. Meanwhile I have SONY TV dead no power, but the power LED is on. I will tell you more details about it and kindly help me to repair it. Thank you for your feedback and glad to hear from Afghanistan. 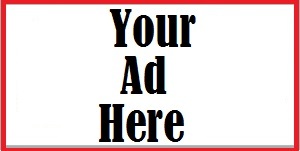 Hi Dear Kimathi, Hope my mail find you in a good time. I have a problem with a SONY TV that I just bought it. It was a used TV. The moment bought it, it was not working normally. When you plugged it to AC power (220) it was not coming up unless tapped with hands, after tapping it was coming with good picture and sounds. I thought that it might have Dry joints and if I re-solder the dry joints, it will work. Actually it had a lot of dry joints and I re-soldered them all. But the TV is still not fixed. Some mistake I made. after re-soldering the dry joints I forgot to connect the Degaussing coil plug too, so when connect the TV to AC220 there was one resistor (470 ohm 5% 3watt)next to this "Degaussing coil plug" and it smoked. So I suddenly disconnect the TV, but still this resistor has reading and the color is changed. After this the TV is not coming even with tapping it. When you plug it to the AC outlet it just produce a sound like "Donggg", the power LED is ON, no high voltage and not the heaters are ON. And finally it is not coming up. 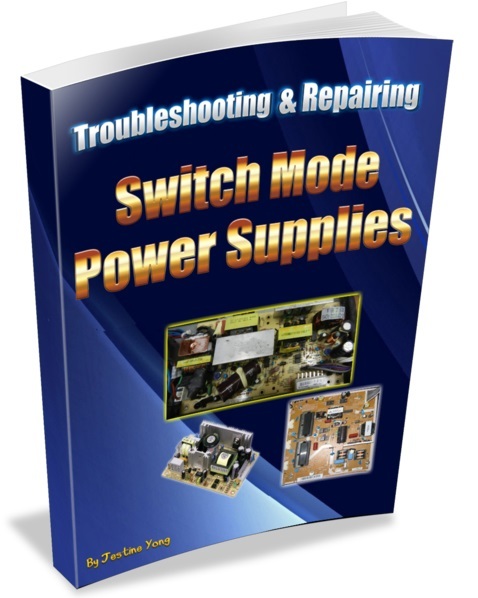 If you do a voltage test in it you can get the following. Usually Naseem at the base of HOT the voltage is too low to measure using a meter but with a scope you can see some pulses. -In the STR S60707 vcc pin you can get an infinite voltage (AC & DC) while this voltage must by 15v dc. If the power ON led is working this means there is power on the secondary side and therefore I expect the primary power is working. When you say the voltage at the vcc pin is infinite, what do you mean…are you using the main capacitor negative as your ground to measure this voltage in DC range..This voltage is usually dc and so your meter should be in DC range to do this test. -Sometimes if you touch the STR heat sink or three resistors (15K ohm) near it, it shakes you like AC 220 that means it has AC voltage in it. Please never touch heat sink or components body on the primary side when the set is powered for your safety…When working on live areas of TVs with power connected only use your meter as your eyes…Think safety first. This is very normal with Posistor…when it is hot actually means it doing its work pretty well. So I don't know where the fault is and i would like you to help me. Best regards, and thank you very much. Yes, it is right, i get here 100+v dc. Also in the Flyback in 3 of the pins including the one which is connect to collector of HOT I get 100+v dc. From what you have put there above Mr. Naseem, we can conclude that the power supply is working well and therefore should not be considered for any further troubleshooting. By the way in most cases if you repair a Sony TV sometimes it goes into a protection mode and the only way to wake it up is by use of remote control power on button…if you don’t have the remote control then you can use the prg keys on the set…just press these keys and you will notice it will fire up if it was in this protective mode. -in the str 60707 vcc pin you can get an infinite voltage (AC & DC) while this voltage must by 15v dc. INFINITE: i mean the pointer of the meters is moving very fast up to last point of the multimeter, even i set the meter to 1000v dc. As I said the fact that there is steady secondary output Voltage B+ it is considered the power supply is ok and therefore no more wasting of time here. No problem this is a common IC for Sony TVs. Yes, I use main cap negative as ground and I set the meter to DC range and I get DC voltage (300+), but when I set the multimeter to AC range test I got 300+ AC voltage too on main cap which I did not expect it. Because here we expect DC voltage not AC. I am right or wrong? Or I don't know, maybe it is normal. Usually we change the meter range depending on what is expected on that particular point, if you use AC range obviously you will get some reading but the meter will in confusion mode and therefore what you get will not be relevant in our troubleshooting. 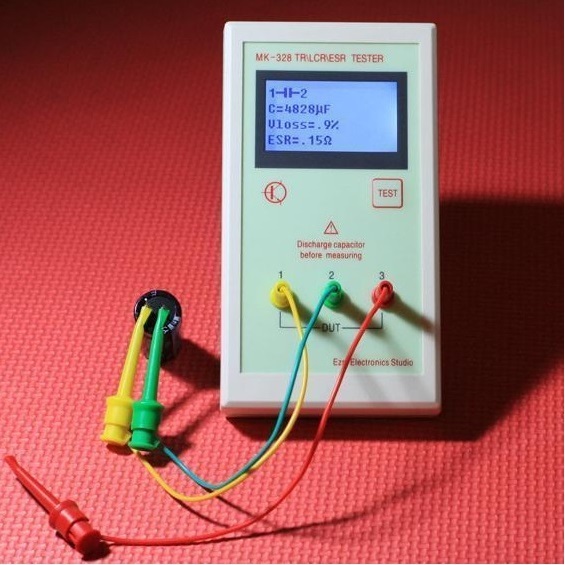 Again I recommend for voltage testing using Digital meter… it is the better option. How about the 3 resistors (15K ohm connected in series one side with main cap positive leg, the other side I think is connected to switch mode power transformer) they are getting hot as well. The voltage after these 3 resistors are considerably reduced. Maybe from 300+ to around 20 v something. I think these are the start-up resistors which drop the 300VDC to 20Vdc for the start-Vcc pin…After the first 15K resistor expect 100Vdc and after the 3th 15K resistor the voltage drop down to 20 VDC…that is why they are getting hot because of dropping all that voltage (300-20=280VDc) again you have put it very well they are big (3watts) so that they can withstand energy wasted in form of heat. One thing else that I forgot mention is that while doing voltage testing I think by mistake my meter was set to diode test. So black probe was on cover of the tuner while touching the red on vcc pin of the str s6707 the fuse was blowing, I tried 3 fuse all were blown until i replaced the str s6707. So after replacing the fuse blowing stopped, but now the TV does not start. When you press the button it just produces a sound "DONGGGG) and then power led on (not blinking) and it does not start. From this it seem you created a short and this lead to the control ic to blow, never use turner ground to test voltages on the primary side. Again as you put it if the meter was set to diode test..Then chances are very high that even your meter was damaged and you should use a different meter to confirm you voltage testing. Finally could this “DONGGGG”be the sound of the relay? Good Mr. Humphrey, I want to confirm that, if you get 100+v dc in collector of HOT that means up to here (primary power supply) everything is OK. If less than that then there will be problem in primary side and all we do it to bring the voltage here (collector of HOT and FBT B+ pins) to its normal rate. One thing I want ask here: when I use the main cap (-) leg as ground, i get less voltage in collector of HOT around 20vdc or 40 vdc. But when i use the tuner cover as ground, then i get 100+vdc on collector of HOT and FBT pins. So is it normal? Or is it something un-usual? What the difference between these two grounds? This is a very serious mistake….using hot ground to measure secondary side voltages…this is exactly what you did when you blow the STR 6707 remember? I remove the HOT from the board. I see no changes; the TV is the same as when the HOT was in the board that means the HOT was doing nothing. I checked the HOT, it seems that it is not in good condition, the Base-emitter or exactly I forgot now Base -collectors have two same reading. I am going to replace it. This is ok…what is important here is collector-emitter junction should be high and low reading…no same reading…I can assure you this transistor is okay…if it is shorted the b+ voltage will be low and the TV will appear dead. Also I connected a light bulb (200 watt) one side with the tuner cover/HOT emitter and the other side to Collector of HOT, it lighted up steadily. and there is some voltage at the base HOT as well. When I set the meter to 0.1 vdc or 2.5v vdc I get some voltage there. By the way, I will replace the HOT and also power on the set with remote control "Power Button" and let you know the result. Ok…go ahead but I don’t know what is the problem with the HOT. 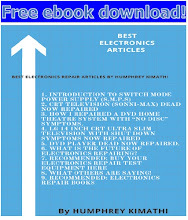 by the way in most cases if you repair a sony tv sometimes it goes into a protection mode and the only way to wake it up is by use of remote control power on button…if you don’t have the remote control then you can use the prg key on the set…just press these keys and you will notice it will fire up if it was in this protective mode. Very good point. i will try this and let you know. by the way i don't know what are the "prg key" can you show it to me? The keys you use if you want to change the channel without the remote. I am explaining you the story of my yesterday's work on the tv. Go on... I am listening. Yesterday the first things I did was replacing the HOT with a new one with same number, and I POWERED ON the set with remote control "power button", surprisingly the set came up with nice picture and sound. You were right, it was in protection mode and it was waked up. but again a problem, the flyback had some arcing in the red wire to CRT, even it shakes you if you touched it with screwdriver, the arcing was in the start point of the wire from FBT and in the end point of wire to CRT. After 5 minutes "ON" the set again became dead with Chrip, chrip sound. i checked the HOT, it was totally shorted (collector - emitter, base -emitter/collector two same reading). so i took this shorted HOT out and installed the original HOT (the one which you confirmed that it is OK) and POWERD ON the set, the set came again nicely, you are right the HOT had no problem. And even this time with very little arcing, i wrapped the arcing points with a tap and now it does not have arcing. I left the TV for almost 2.5 hours on and it worked nicely, nothing happened. So do you think should replace the FBT as well or it is OK until it works? First glad to hear that good report. With regard to FBT I suggest a replacement; it won’t take long before the same problem come back again. I read the Link that was about cold ground and hot ground, it was nice and I understood now. If you look at any smps power supply you will notice a very thick line which passes in the middle of the chopper transformer down to the middle of the opto-isolator. So because the supply is two circuit in one hence we have two grounds (one is called hot and the other one is called cold. When you use the meter attached to the cold ground and measure voltages on the live side you are ideally like shorting the two….hope I have answered your question. and also little bit about the function of HOT (horizontal output transistor). Horizontal output transistor (HOT)…this is the component (transistor) which drive the flyback transformer together with other components for the horizontal circuits. Thank you Mr Beh, Glad to hear from you after quite a long long time. Be blessed on that end too. 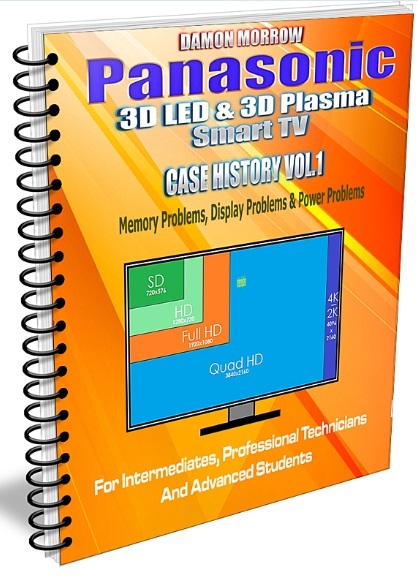 Use the method i have used on solving smps problem to isolate this problem...see this link for more info.. There is no further designing here, it only copy and paste to your pcb board and there you go.